Since opening in November 2008, Mexico’s Hacienda Tres Ríos Resort has rapidly established a reputation as the ultimate green retreat. It has been nominated for “Mexico & Central America’s Leading Green Hotel” at the 2010 World Travel Awards, and has just been awarded Green Globe certification for the second year in a row in recognition of it sustainable practices, conservation of the environment, support for local communities, and preservation of local culture. Located in Riviera Maya, Hacienda Tres Ríos is an exclusive luxury resort focused on green travel. The highest grade award from Green Globe Certification comes after an extensive review of the resort’s procedures, daily operations and green practices. Last year Hacienda Tres Ríos Resort was voted “Mexico & Central America’s Leading Green Hotel” at the 2009 World Travel Awards. 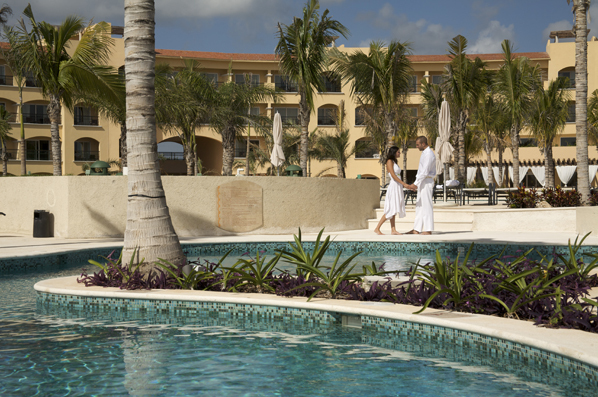 The eco paradise has also been nominated for four awards in this year’s ceremony, including “Mexico & Central America’s Leading Green Hotel” and “Mexico & Central America’s Leading All-inclusive Hotel”. The World Travel Awards is recognised as the ultimate travel accolade and is hailed by the Wall Street Journal as the “Oscars of the travel industry”. The Green Globe Certification was delivered by Romeo Dominguez, representative of Green Globe America Latina to Romárico Arroyo, vice president of development and financing, Tres Ríos. At the ceremony, the Tres Rios sustainability team and its leader, Gabriel Santoyo, received an award from Green Globe recognizing the excellent work done to achieve the recertification. “We not only received this certification for a consecutive year, but we did it with an incredible 95 percent. I don’t know of any other hotel – worldwide – that has achieved such a high grade and so soon after opening,” said Mr. Gabriel Santoyo, chief environmental officer for Tres Ríos. Mr. Santoyo has been responsible for coordinating all sustainable management practices that have resulted in this exceptional score. The vice president of development and financing, Tres Ríos, Romárico Arroyo, highlighted the hard work that has been invested in Hacienda Tres Ríos Resort to ensure this luxury resort follows strict environmental and quality standards in Mexico, as well as international sustainability standards. “Tres Ríos started out as an ecological park, and we have been consistent in following our set guidelines and standards to protect the extraordinary beauty and diversity of the region. 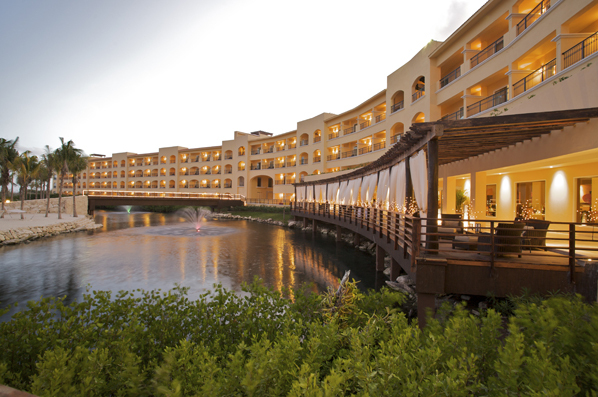 Our guests are able to reconnect with nature while they enjoy the Mexican hospitality and all the luxury we offer,” said Mr. Arroyo. From its opening in November 2008, Hacienda Tres Ríos has positioned itself as a model for sustainable tourism in Mexico and abroad. The resort has been recognized by the highest Mexican environmental authorities, the Secretariat of Environment and Natural Resources (SEMARNAT). It has also been featured at tourism fairs around the world, with the sustainability team invited to share their knowledge in forums in London, Spain, and Berlin. Besides its Green Globe certification, Hacienda Tres Ríos is recognized by international environmental organizations like UNEP, Sustainable Travel International, and Rainforest Alliance. Its environmental achievements have been acknowledged in the leading travel markets of Europe including Germany and London. Located in a 326-acre of jungle, mangrove, and coastal dunes, the eco-friendly resort is built 2.8 meters above sea level on stilts that allows for the free and natural movement of water flows. The construction and design allows for electricity consumption to be reduced 38 percent in air conditioners and 70 percent from lighting. Specially-designed operating systems allows for water consumption to be reduced by 40 percent. The resort also uses 100 percent biodegradable products and recycles the same percentage of solid waste. Who is Happier? Guests of Two-Star or Five-Star Hotels?